Justine's Cardmaking: 2nd Place - Best Blogger Contest 2017! 2nd Place - Best Blogger Contest 2017! I just wanted to share some exciting news with you! 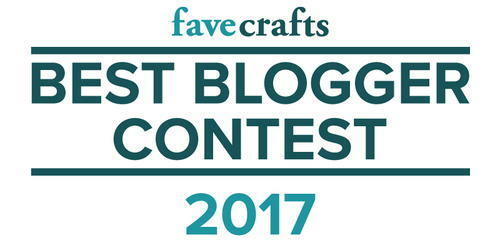 I was chosen to be a part of the top 20 projects submitted to the Best Blogger Contest by Fave Crafts! I submitted my Nuvo Butterfly card as my entry and I patiently waited for the contest to be over which was done by public vote. I am so excited to announce that I received 2nd Place. It just means so much. I have put a ton of work, countless hours of design and creativity - not to mention the learning curve of designing and coding my own blog, learning video editing, proper photography and more. I couldn't be happier to have been recognized. A big THANK YOU to all of you who have been a part of my crafty journey! Congratulations! I always look forward to your blog. You do an outstanding job and it's nice to see you rewarded! Congratulations! You deserve it!! Great card & awesome blog! Congratulations Justine. Well done!! We all appreciate what you do and it's nice to see you get recognized. So pleased for you to get this recognition. Your followers appreciate the regular inspiration, quality projects and fun tips on your blog. I hope you keep it up, regardless of where you end up next! Wow!!! Congrats dear Justine, you really deserve it!!! Wow, that's just fabulous! Congratulations on a well deserved recognition.